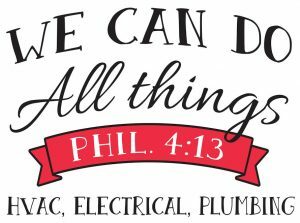 Whiddon’s Air and Electrical team of service techs are here for you! If your air conditioner, heat pump, furnace or water heater is not working properly call on our trained professionals to return you to comfort. Our technicians are trained and carry with them a wide variety of repair and replacement components to handle most any repair. 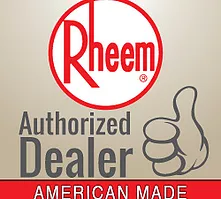 We service and repair all brands to include Rheem, Ruud, Trane, American Standard, Carrier, Bryant, Amana, Lennox, Gibson, Goodman, York, Coleman, Janitrol, Payne, ICP, Comfort Maker, Acro Aire and many more! Whiddon’s Air and Electrical is known as a top Rheem contractor in Missouri! Let our home consultants take the guess work out of your next purchase and offer quality installation at very competitive prices! Possibly the number one benefit from Whiddon’s Air and Electrical planned maintenance program is peace of mind. The conditions outside can fluctuate from one extreme to another, you can rest assured that comfort inside your home stays nice and calm.We will set up an appointment that works with your schedule to help make sure there are no costly interruptions with your comfort or your hard earned money! A professional tune-up, and a well maintained system, helps reduce the demand from your heating and cooling system, which is projected to account for half of your home or business energy cost. The purpose of planned maintenance is to solve issues with your system before they grow expensive or cause major issues within your overall system. If parts are needed, you receive a discount for having our valued plan! Replacing your heating and cooling system is never fun! Why not make sure to get the most out of your current system. Taking care of your system summer to summer, winter to winter, will extend its useful life. When new systems do have issues, manufactures want to make sure that the customers have done planned maintenance to protect the integrity of their products. With a heating check our team of technicians can make sure to detect the existence of carbon monoxide. A compromised heating system is one of the causes of carbon monoxide poisoning. Carbon monoxide is an odorless, colorless gas that can cause serious illness or possible death.